Remember that new Range Rover we were all hyped about last week? 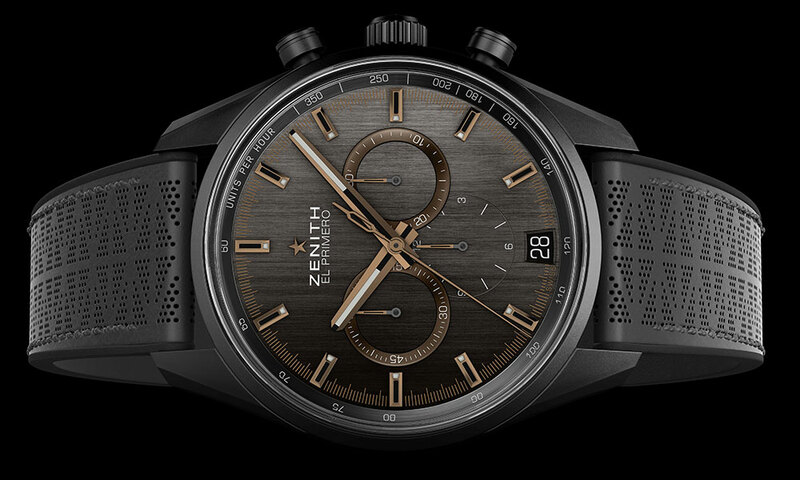 As it turns out, no one was more excited about it than the folks at Zenith, who unveiled a special collaborative timepiece at the Geneva International Motor Show in honour of the British automaker’s latest model. 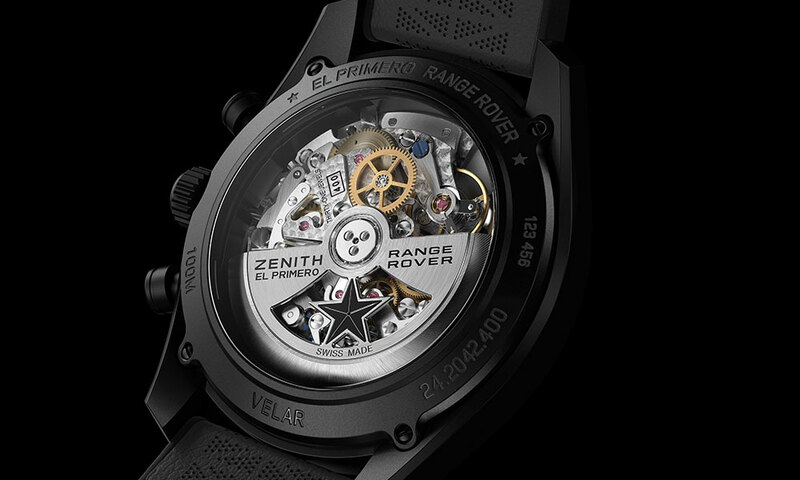 The Zenith Chronomaster El Primero Range Rover Velar Special Edition (that’s a real mouthful, eh?) features a brushed grey dial with copper-toned details, and a black rubber strap coated with black-toned perforated calfskin. The combination of the materials honours the past designs of both brands as well as their engineering departments. The high-quality hide on the Chronomaster’s band is the same leather used in Range Rover interiors. Featuring a ceramic aluminum 42mm case and beating at 36,000 vibrations, the watch is secured by a triple-folding clasp in DLC-treated titanium. Both brands released arguably their most iconic creations in the same year. 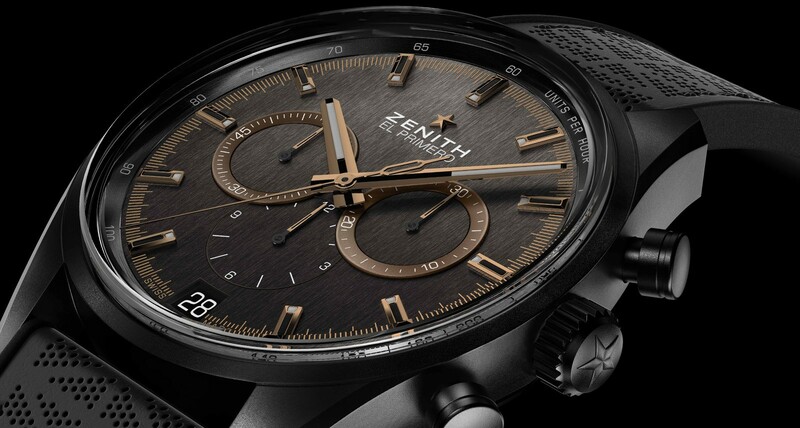 In 1969, Zenith unveiled its fabled El Primero chronograph, while Land Rover introduced the prototype of the very first luxury off-road vehicle, the Range Rover. It’s only fitting that the two have combined to produce what is sure to be another iconic masterpiece.